A very popular alloy for us, HASTELLOY C-276 alloy is a nickel-molybdenum-chromium wrought alloy that is generally considered a versatile corrosion-resistance alloy. C-276 alloy is an improved wrought version of alloy C in that it usually doesn’t need to be solution heat-treated after welding and has vastly improved fabricability. Lightning Bolt stocks C-276 fasteners for immediate shipment, such as nuts, bolts, nuts, washers, and studs in c276. This alloy resists the formation of grain-boundary precipitaties in the weld heat-affected zone. This makes it suitable for most chemical process applications in the as-welded condition. However, it should be noted that in environments where attack of the C-276 alloy weld joint is experienced, C-22 weld filler materials should be considered. C-276 alloy has superior resistance to corrosion and to both oxidizing and reducing media. Because of its adaptability, C-276 alloy can be used where “upset” conditions are likely to occur or in multipurpose plants. Due to these reasons, Lightning Bolt has been the supplier to know when in the need of Hastelloy C-276 bolts, nuts, washers, and other alloy fasteners. What has made the alloy popular is that HASTELLOY C-276 alloy has excellent resistance to a wide variety of chemical process environments, including strong oxidizers such as ferric and cupric chlorides, hot contaminated media (organic and inorganic), chlorine, formic and acetic acids, acetic anhydride, and seawater and brine solutions. As of late, it is used in flue gas desulfurization systems because of its excellent resistance to sulfur compounds and chloride ions encounted in most scrubbers. C-276 alloy has excellent resistance to pitting and to stress-corrosion cracking. It is also one of the few materials that withstands the corrosive effects of wet chlorine gas, hypochlorite, and chlorine dioxide. Hastelloy can be fabricated by a variety of Methods. HASTELLOY C-276 alloy can be forged, hot-upset, and impact extruded. Although the alloy tends to work-harden, it can also be successfully deep-drawn, spun, press formed or punched. Being that we specialize in hard to find exotic alloy fasteners, we are capable of meeting your businesses immediate demands. Therefore, contact Lightning Bolt to allow find out how we can become a valuable project’s supply chain. 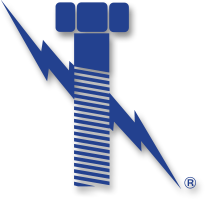 Lightning Bolt & Supply has Hastelloy C-276 – World Wide Shipping and has been servicing North America’s industrial fastener needs for over 25 years. Since then, our focus on the production of high quality parts at competitive pricing has allowed us to become an industry leader. Our niche in exotic high nickel alloy fasteners include materials such as: hastelloy, Inconel, monel, A-286, 904L, Alloy-20, duplex stainless as well as many additional alloys.